Thank you for this great introduction to Sharpcap. I plan on trying it out for the first time tonight. By the way, I believe you also have 17.7 mag PGC 169144 in your capture of NGC 4302 on page 20. I am planning another update to the SharpCap quickstart guide for the holidays. Planning to expand on a few topics and potentially adding some conceptual topics in the back including a plain English premier on SNR. Please let me know if you would like anything else covered. Again thanks for doing this, and twice over for asking for inputs. Would it make sense to cover key SharpCap 3.1 features? hopefully it comes out of Beta by the holidays. Also, I wonder if anyone has successfully used Collimation tool in SharpCap (I was not able to make it work on the first try). Thanks again for your work on the guide. This guide has been indenspable for a beginner like myself. For that I thank you. Would it be possible to add in a section on using sharp cap to polar alighn ? It has instructions that walk you through it. I do mine before aligning the scope. Plus, at the end, I just use the numbers instead of the graphic. I find it easier that trying to move it using the graphic. Just watch the numbers as you move the scope. If they're increasing, move the other way. Adjust the one that's out most first. Thank you all for the suggestions. I will try to include as many as I can. Regarding color balance I already have a section in the current guide on how to manually adjust color balance. Not sure if folks have had a chance to read it. Would appreciated feedback on how I can augment it / what is missing. I will prioritize and rewrite the color balance section to make it clearer. Also instead of combining the SNR discussion with the SharpCap guide I will be publishing a separate premier on SNR. Edited by Astrojedi, 18 December 2017 - 01:23 PM. Thanks Roel. Yes, it is an interesting post. The theory is not complicated and Robin does a good explaining it but I find that it is less applicable for EAA (at least how I practice EAA i.e. high gain short sub exposures - I don't really care much for pretty picture imaging). I will present an analysis of the SNR trade-offs in the SNR primer I am working on which is more EAA focused. hey Astrojedi, lately I see quite a few folks on NSN using SharpCap+AstroToaster combo. Please queue this up for future revisions of the guide. Also this might be slightly off topic, but I wonder if anyone managed to integrate SharpCap with PixInsight's AutomaticBackgroundExtraction. ABE and DBE are excellent tools and help a lot to get rid of light pollution effects. I beg to differ that one time AstroJedi. Just by reading this article and going through these simple math equations I think that its still very relevant to EAA. It basicly says that with a low read noise (IE:ASI 294 at 1.2e readnoise), you do not get better pictures pushing the exposure times once you reach a certain point. You make it worse, especialy with us in EAA sometimes using no guiding and ALT AZ mounts that have sketchy tracking lol. This acutally proves your point that short subs af around 2 seconds to 45 seconds are sufficient for about 95% of applications if you have a low read noise CMOS. Of course a short exposure on the CMOS at 2 seconds will be noisier than a 30 seconds one on the same camera, but that same 2 second exposure will still be much less noisy than any CCD out there at equal sub exposure times. And it shows also that the readnoise will be much more bearable in very short subs with a low read noise CMOS (1-10 sec subs). - ''High'' read noise CMOS doing 3 subs of 5 minutes. - A Low read noise CMOS doing 45 subs of 20 seconds. Hugo & Roel, please start a separate thread if you want to discuss further. Thanks. maybe in the future it might..
Edited by mega256, 19 December 2017 - 05:16 PM. Your post is not very clear. SharpCap does save the histogram adjustments when you do "Save as viewed" but it does not save the "Contrast" or "Gamma" adjustments in the display controls panel? I document this behavior in the SharpCap guide. Edited by Astrojedi, 19 December 2017 - 05:23 PM. Thanks for the guide and helpful info Astrojedi. As a beginner with an ASI224 this is a valuable resource. Now that the newness of the camera has started to wear off, I'm hoping to collect better data rather than just being amazed at what I can already see, your guide is a great source of info towards this goal. Maybe put in some definitions of different terms ....for example "offset" in other programs is called brightness in SharpCap.....took me forever to figure that one out. I'm sure there are more items terms specific to SC worth listing. Also another tip I figured out by mistake one night is being able to move the region of interest during a image.....i'll try to explain below. Maybe this is a well known trick.....but I found it by mistake one night and it has really helped. This worked for my ASI174mc and ASI120mc, I don't know if all cameras can do this....but these two can for sure. I can't see Polaris from my backyard so Polar alignment is a guess. Drift alignment can take a while and isn't worth the effort for a quick planet photo. Due to the poor alignment the planets float out of the FOV. Using the whole chip slows down my frame rate too much for a good shot. Frame rate for planets while using the AVI format is really important. The more frames per second the more data So I watch the planet to see which way it's drifting.....lets say it goes from top left and would float out on the bottom right. I slew my mount to put the planet in the top left. Adjust my ROI to a smaller setting that gives me a faster frame rate. Normally the planet would float out of a small ROI pretty quickly. I simply drag the ROI area across the chip to keep the planet centered. Using this method I got 9 to 10 min of Saturn with a 600X600 ROI to speed up my frame rate. The below pic was Saturn pic take on a ASI120mc-s, which has a really small chip. Now I have a 1600mm-c. With the larger chip I could probably do this for 20 min or so. The below pic is from the SharpCap guide....the area they have listed as ROI control in blue is what i'm talking about. I just drag the active area across the inactive area of the chip. SharpCap doesn't skip a beat and you can't tell when watching the AVI. 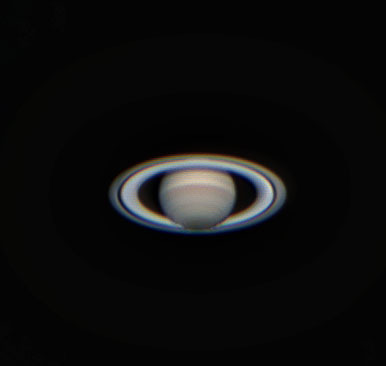 The below pic of Saturn was done using this trick with a ASI120mc-s on a Meade 12" SCT. Here is the updated version of the SharpCap Quickstart guide v0.3. Work was busier than expected over the holidays so apologies for the delay. I have expanded the section on color balance based on feedback from members here. 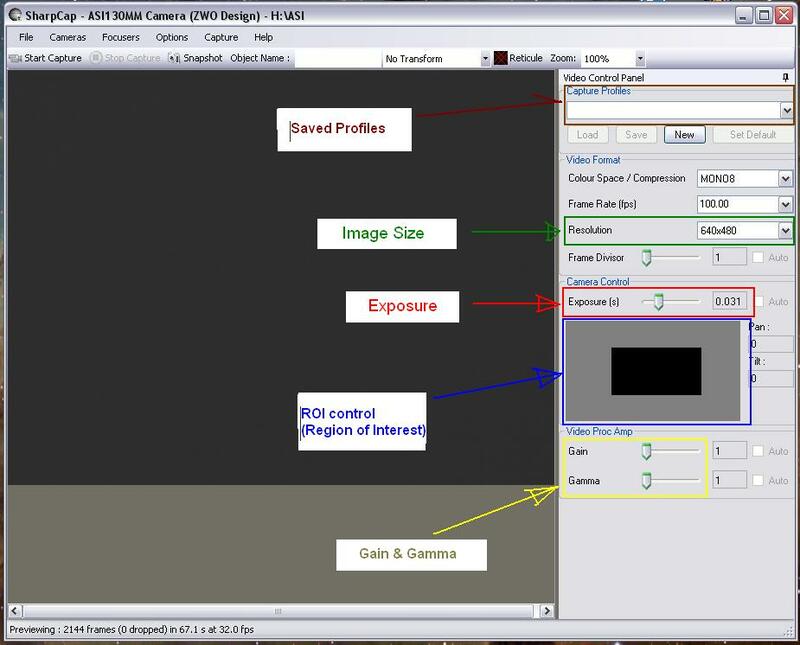 See the section "Achieving good Color balance – A step by step guide" on page 12. Apology not necessary, Hiten. We, CN SharpCap users, are all grateful for this contribution of yours. Read the Guide. Very helpful. This will tweak my already known usability and make my images that much better.! Work has been busy and I have been focusing mostly on my languishing scientific imaging projects for the past few weeks. SharpCap continues to evolve quickly. If there is interest I can refresh the guide with recent changes.